I had originally purchased all the supplies to make these for Michael's first year in preschool which was two years ago. With all the things happening in my personal life, these amazing gifts fell by the way side. Since last year was Michael's last year at his preschool, I knew I had to get the gifts done for both sets of teachers. Here's how we made them. As I said, I had bought most of the supplies last year with the intention of making them for just two teachers. I had found an amazing deal at Michaels of a three pack of 8x10 shadow boxes, but when I was looking to get a fourth shadow box they didn't have any. 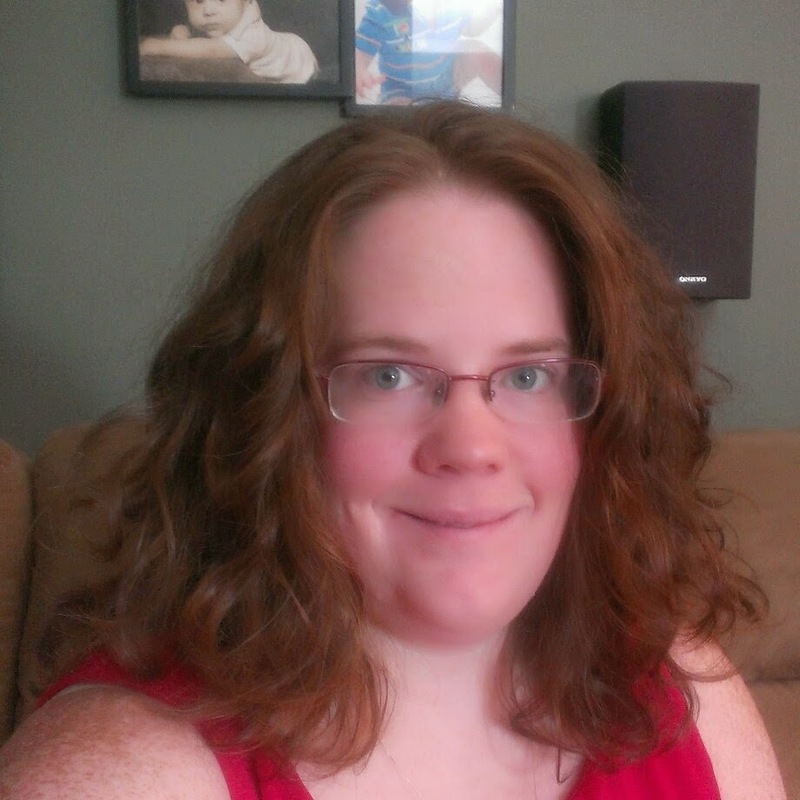 I ended up finding one that was little taller, but at a reasonable price at Marshall's. Now that you have your items, you'll want to go to your computer and create a Word document. In Word, I used Times New Roman at size 700 and centered the capital letter of the teacher's last name. I printed this out to use as a template. You don't have to do this if you're great a doing things free handed. Since the shadow boxes didn't come with any sturdy inserts, I cut a poster board to the size of the shadow box to use that as my background and to glue the crayons to. With the letter print out, you'll want to center it on the poster board and leave enough room at the bottom to put the teacher's name. Once it's at the place that you like, with a pencil trace out the letter. 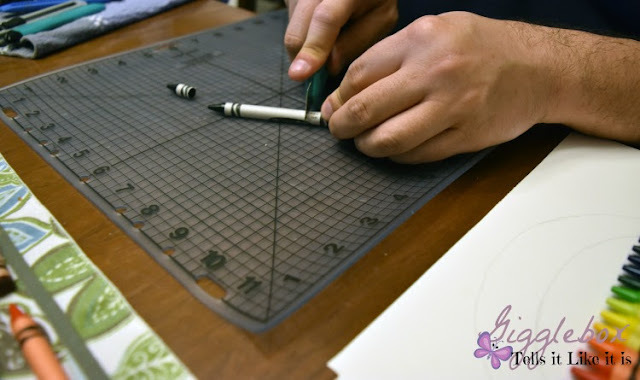 This will leave an indent on the poster board that you can then trace out to help with lining up the crayon pieces. I first pulled out all the crayons from the box and made sure they would fit. We ended up taking out 4 colors for each letter. Organize it however you like, I went more with the colors of the rainbow. 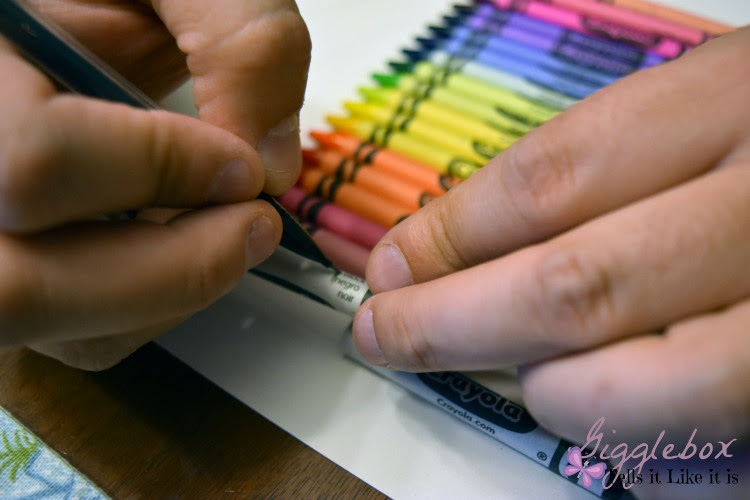 You'll then want to start laying out the crayons to see where they need to be cut. I had Jon do the cutting because he has more of a sturdy hand. He said it was rather easy to cut through the crayons. 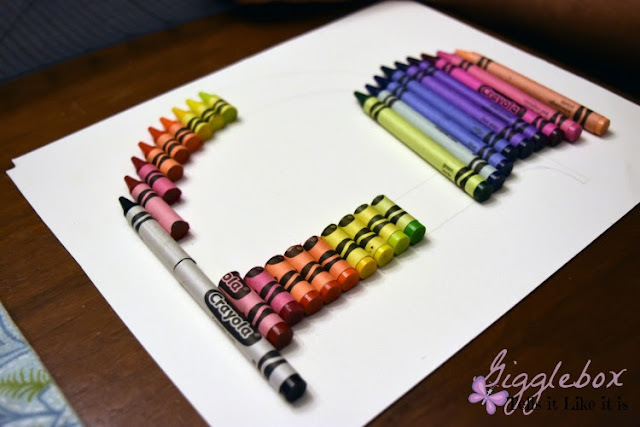 We cut and glued one crayon at a time to make sure the letter was forming correctly. We used craft glue because when I tested between that and hot glue, the craft glue looked like it was going to keep the hold longer. After the letter was glued and had started drying, I cut out the teacher's names with my Cricut. You could use stickers from a craft store or is you have really nice handwriting, write it out yourself. 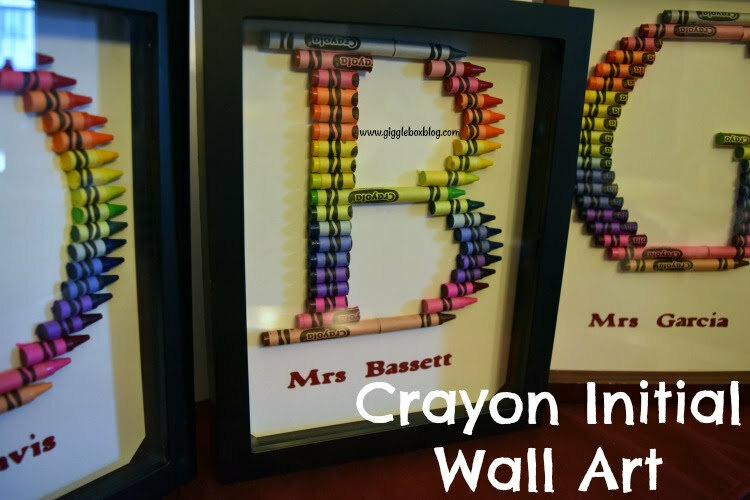 Once everything is dry, you'll want to place the poster board with the glued crayons into the shadow box. 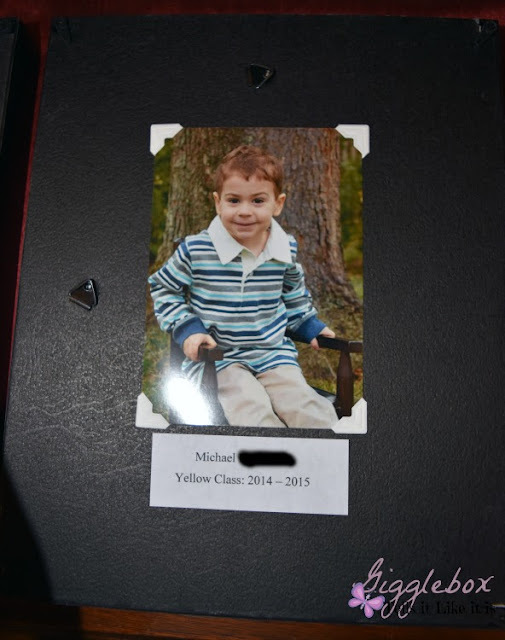 On the back of each box we put Michael's school picture from that year, his name, and what school year they had him in. All the teachers absolutely loved this gift and said they would display it proudly. So, if you're looking for a unique gift for a special teacher give this a try.